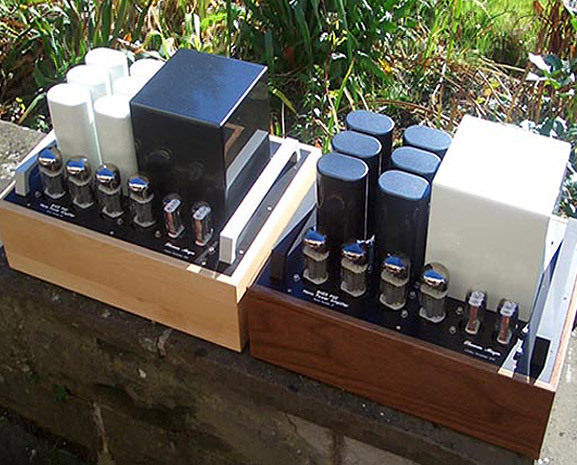 We offer transformer covers for the output and mains transformers and chokes of your DIY tube amp. All covers are made in Germany and sold ex factory. 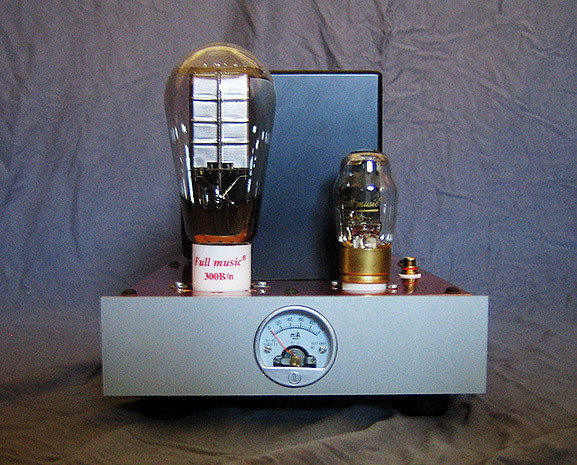 If you want to see tube amplifiers built by customers, visit our customer tube amp gallery. This might give you some interesting ideas for your own projects. 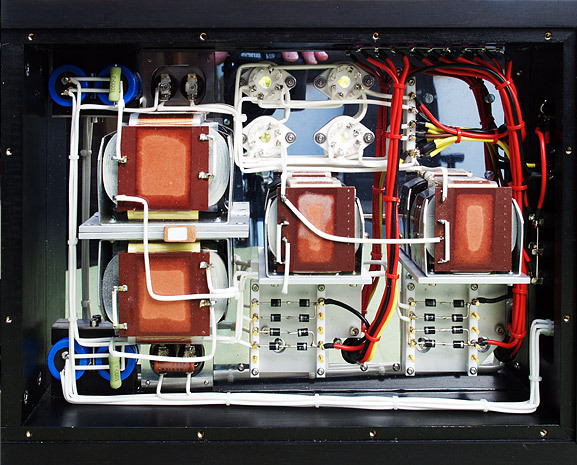 We have transformer covers in the range of 80 x 80 mm to 150 x 150 mm. 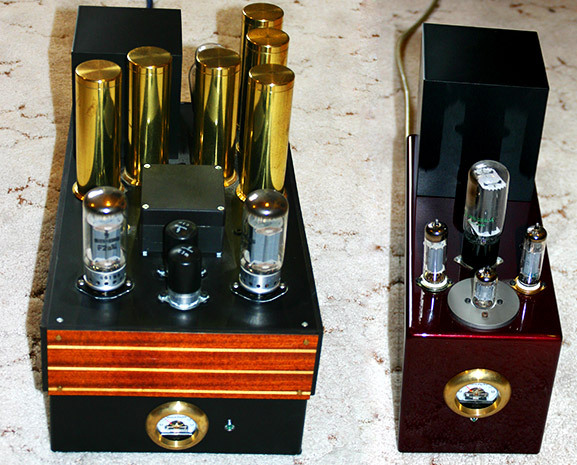 The small transformer covers match nicely with chokes or transformers for low power single ended tube amps. The large covers can be used even for the huge Lundahl transformers. In Europe you will hardly find covers like these. Tools for deep-drawing are so expensive that this is simply not an option. So we sat down and thought how to avoid the enormous costs for new tools. 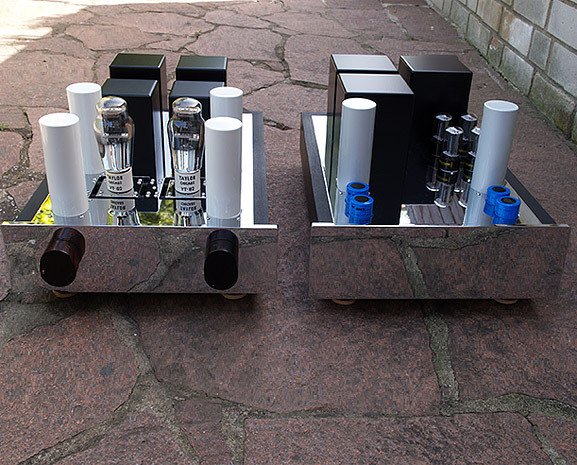 The result are these appealing transformer covers. The FAQs (frequently asked questions) gives you a quick overview. We provide more detailed information in the products and the support section, where we discuss ideas, comments or requests from customers in detail. We hope you’ll enjoy our products and visit the shop, where you can buy the transformer covers. Notice our offers page. Sometimes we have transformer covers at reduced prices. 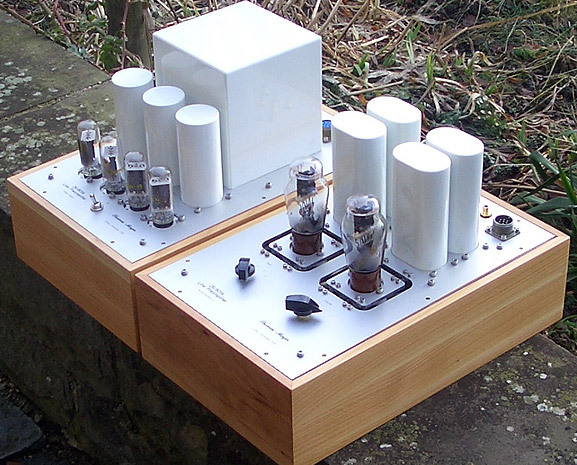 »The Pipe« is a small and easily customizable enclosure. 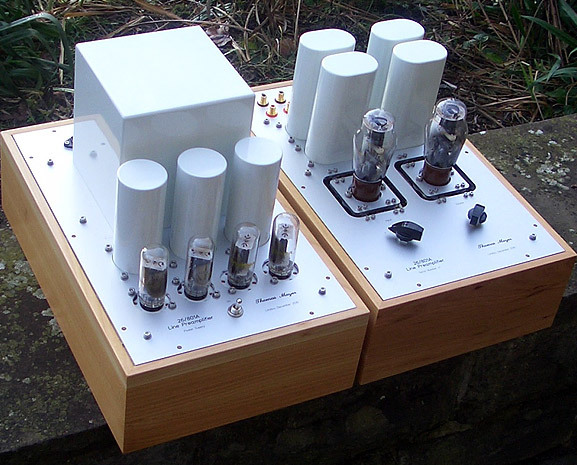 It is perfect for for passive or active preamps, external power supplies and low power tube amps. 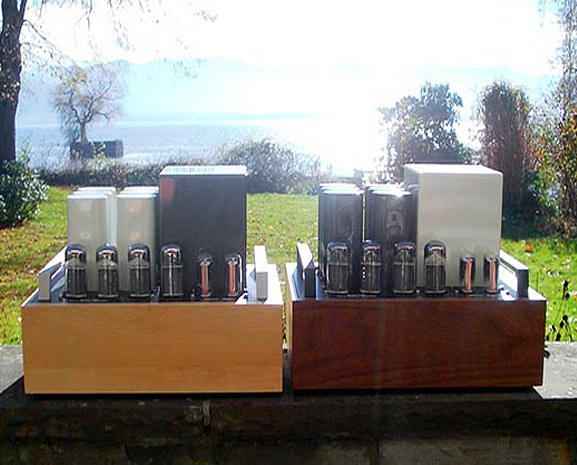 An array 3 or 4 enclosures will look impressive on your audio rack. 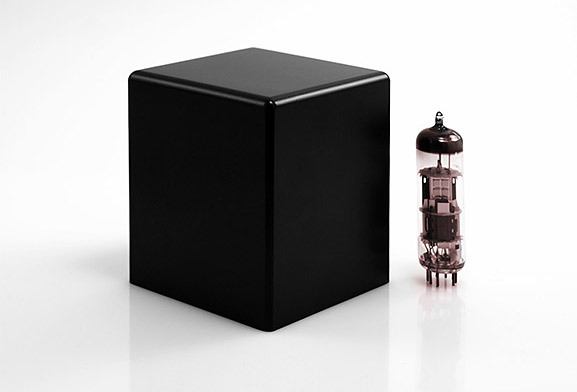 This little box might be a perfect match for your T-Amp. The inner frame is fixed by 4 screws through the equipment feet. After loosing these screws you can pull out the whole frame which makes maintenance and tweaking very easy. The sleeve is black powder coated. 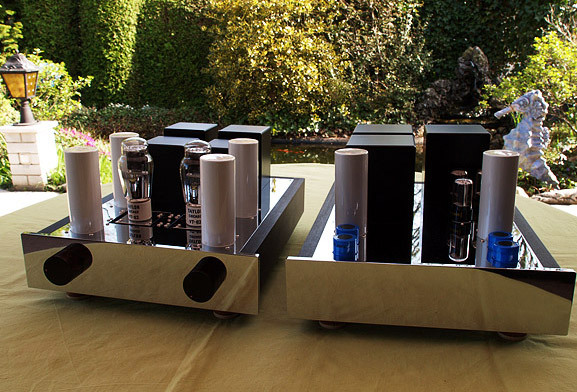 Front and back panel are made of anodized aluminium. Now available in beautiful black wrinkle paint finish! 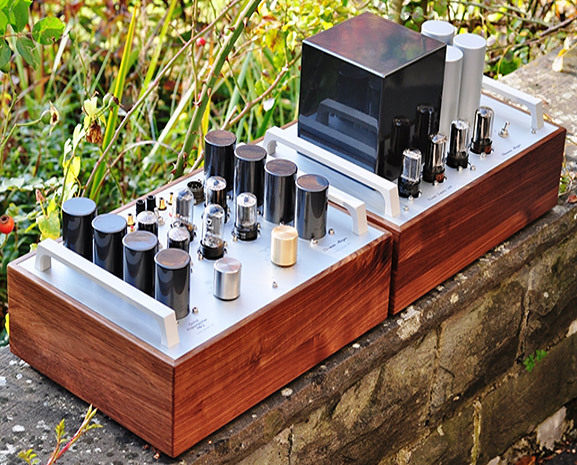 We love the look of vintage gear and can now offer this enclosure in wrinkle paint finish (powder coated). It looks pretty much like the good old stuff and provides a nice unregular texture. We offer now a cost effective measurement microphone suited for acoustical measurements including loudspeaker design, sound system setup and room acoustics. The CF-1 does not require 48 volts phantom power. 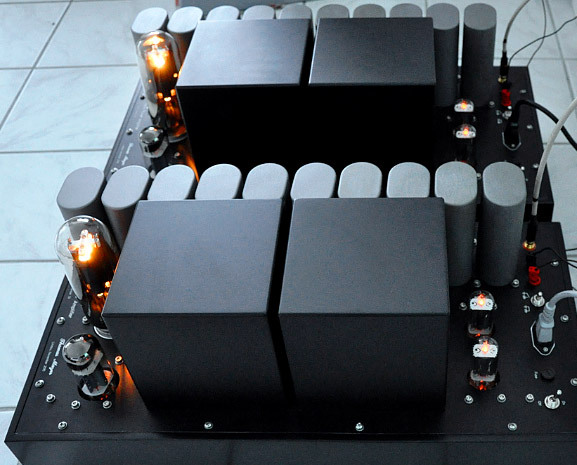 You can connect it to microphone inputs that provide a DC power of 5-9 volts. 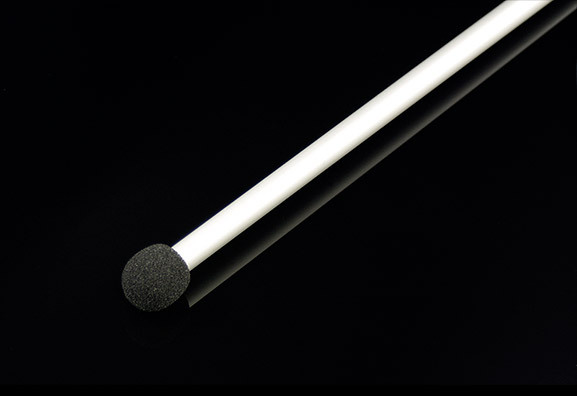 We can offer the microphone with its own calibration chart providing its sensitivity and the frequency response curve. You can use this calibration file with audio measurement software like ARTA or Hobbybox. 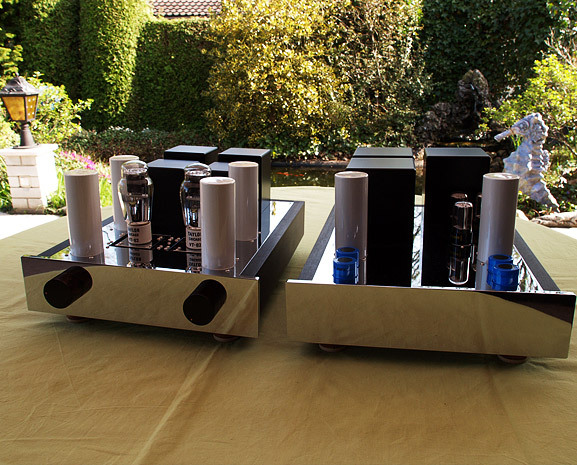 We have new images of a beautiful line stage for the 801/10, 26 and UX201 tubes according to a concept of Thomas Mayer. 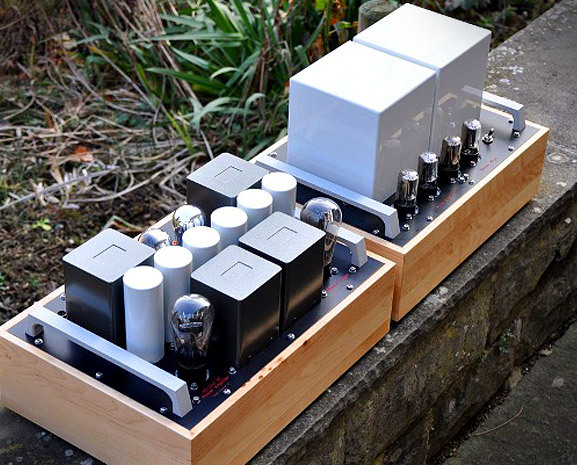 This is one of the most professional DIY amps we have seen. 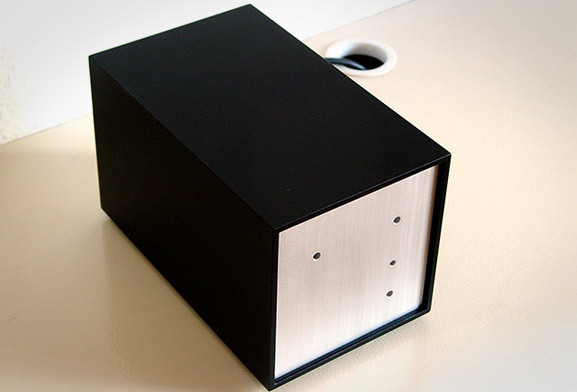 The enclosure is made of 4 mm and 3 mm thick chrome-plated copper. The wooden frame is made of ebony wood veneered maple. Congratulations!